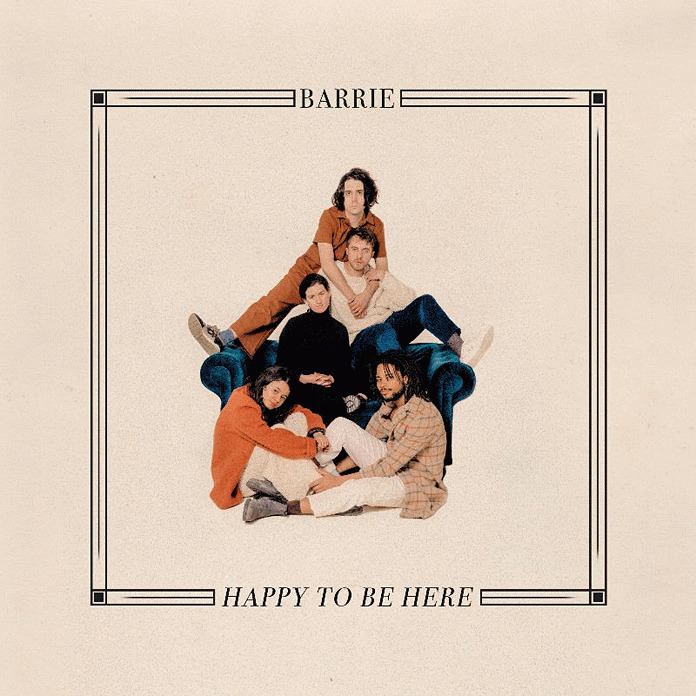 Barrie are a five-piece from Brooklyn and this week they announced their debut album, Happy to Be Here, and shared its lead single, "Clovers." Happy to Be Here is due out May 3 via Winspear. "Clovers" is a pleasing slice of dream pop/indie pop that would appeal to fans of Yumi Zouma. Check it out below, followed by the album's tracklist and cover art, as well as the band's upcoming tour dates. Barrie is led by Barrie Lindsay, who wrote the album's songs late at night alone in her apartment, plays various instruments on the album (guitar, piano, synth, and bass), and co-produced the album with Jake Aron (Snail Mail, Solange, Grizzly Bear). But Barrie is not simply a solo project, the band also features Dominic Apa, Spurge Carter, Noah Prebish, and Sabine Holler, who had to record her backing vocals remotely from Germany due to visa issues. 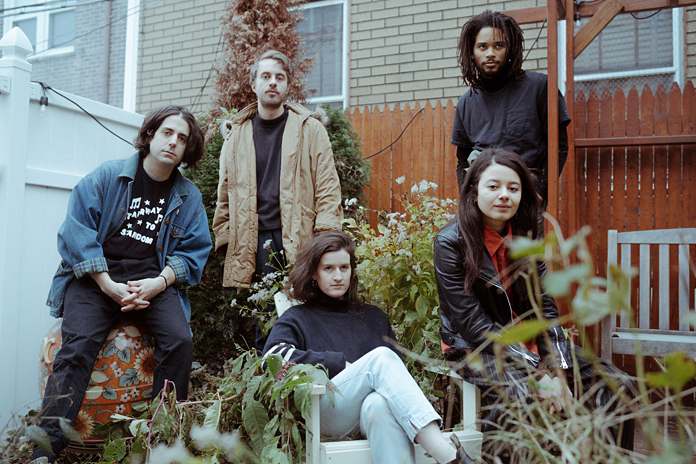 The band members are from all over, having previously lived in Boston, Baltimore, Upstate New York, London, and São Paulo via Berlin, but came together in New York.